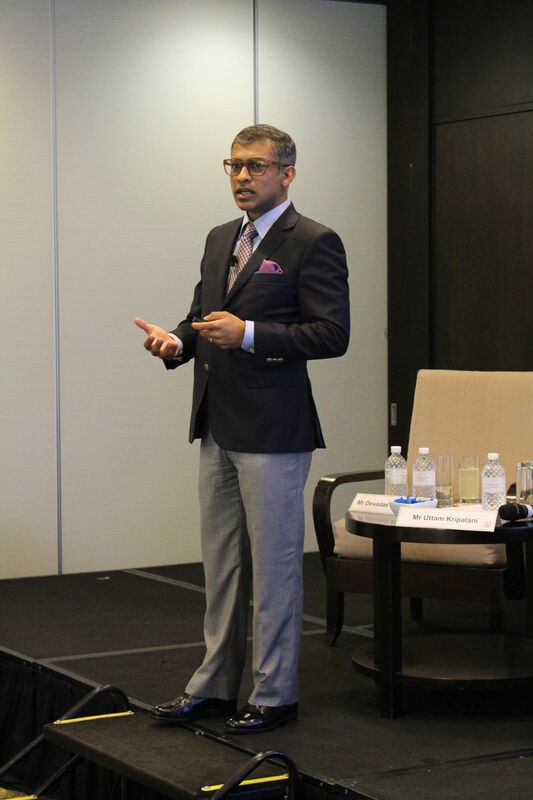 FMG CEO Mr Devadas Krishnadas was invited to be a speaker at Singapore International Chamber of Commerce’s (SICC) Distinguished Speaker Series, held at the Grand Copthorne Waterfront Hotel on 25th October. Future-Moves Group CEO Mr Devadas Krishnadas giving his keynote address on stage. 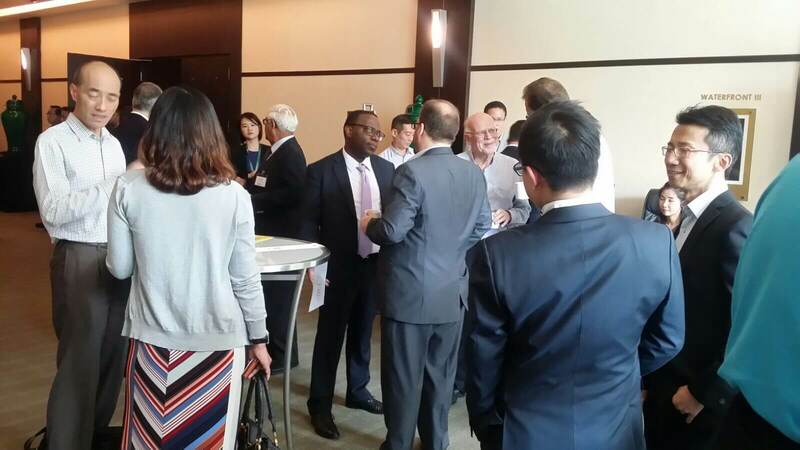 FMG Director Mr Lee Kok Fatt (right) mingling with the distinguished crowd, which included His Excellency Guillaume Kavaruganda, High Commissioner of the Republic of Rwanda (centre). SICC Chief Executive Mr Victor Mills and SICC Deputy Chairman Mr Uttam Kripalani graced the event. Mr Kripalani also served as the moderator for this session. 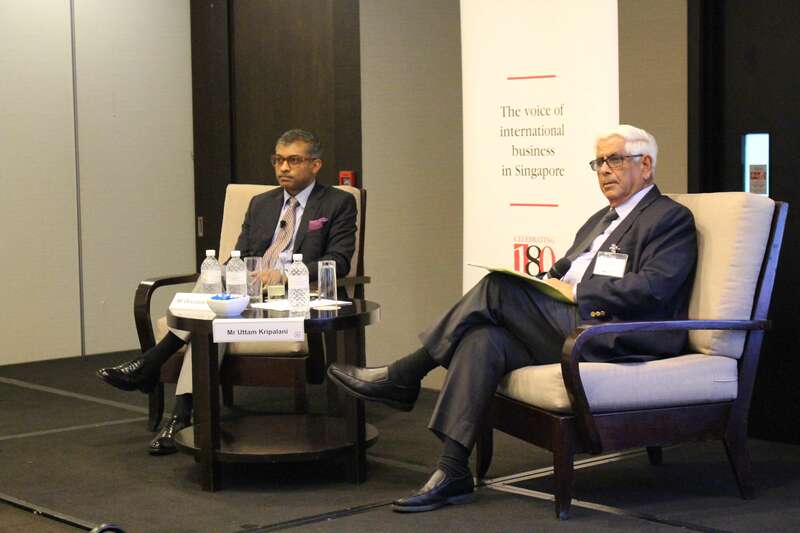 FMG CEO Mr Devadas Krishnadas (left) , with event moderator, SICC Deputy Chairman Mr Uttam Kripalani (right). 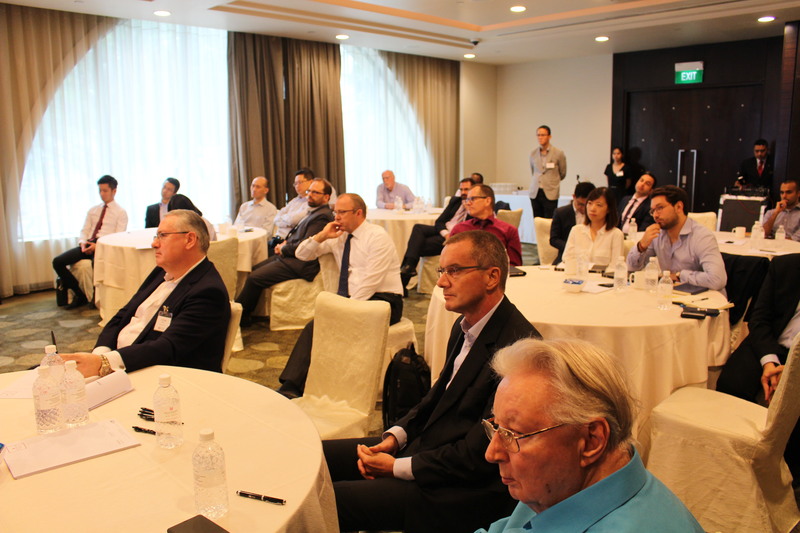 Attendees, including SICC Chief Executive Mr Victor Mills (left), listening closely to Mr Devadas’ response during the question and answer section. A spirited discussion followed Mr Devadas’ keynote address, with Mr Devadas fielding questions from the audience who sought to hear more on issues ranging from Singapore’s position on the global platform, to how ASEAN countries must put aside their differences to navigate the changing political landscape together as one.